Reasons for concern: Large, dangerous limbs on older trees can easily break off and seriously damage properties or injure people. 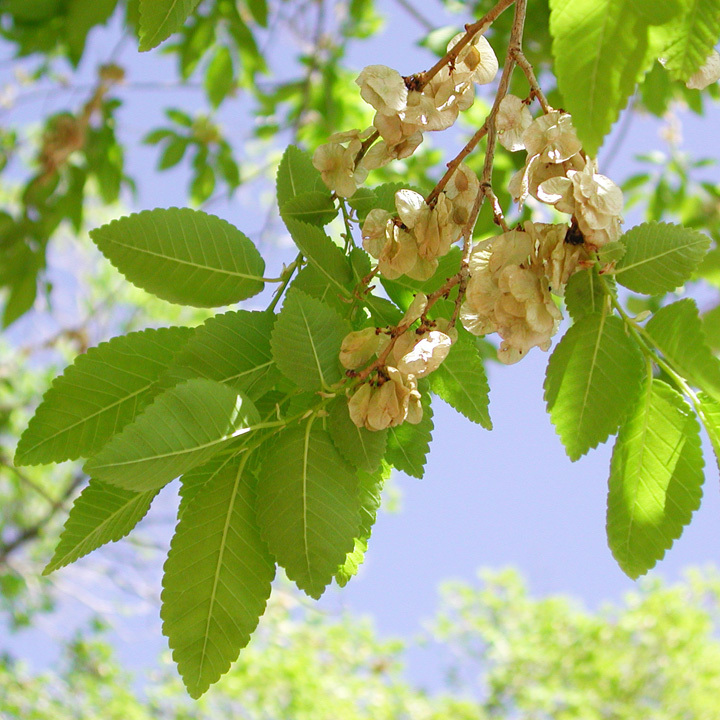 It is susceptible to many diseases (not Dutch-elm disease), insects, and growth disorders. 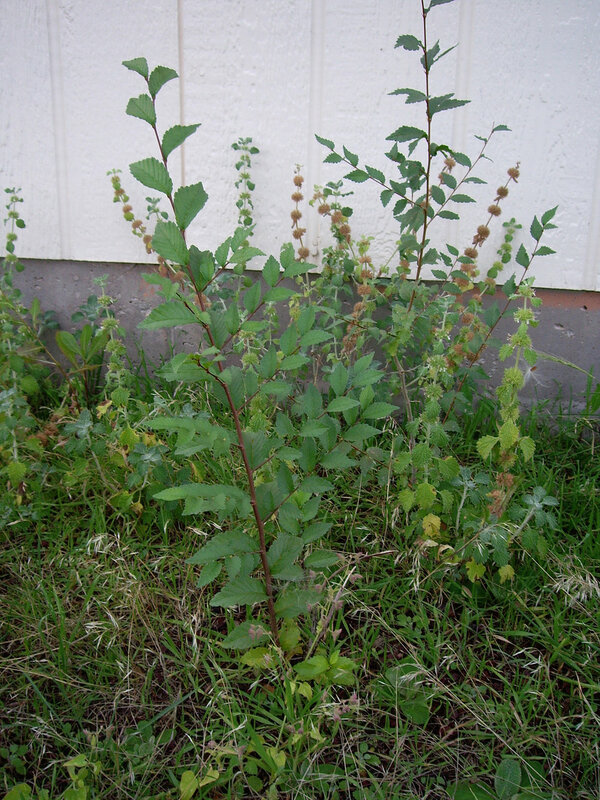 If seedlings get established in your or your neighbor’s landscapes, they are very difficult to eradicate. If not completely pulled out, they continue to re-sprout and re-grow repeatedly until they look like a large bush. Leaves can shade out desirable native species below. Roots can grow into underground water and sewer lines; surface roots can lift sidewalks or interfere with mowing. Botanical description: Fast-growing deciduous tree, reaching heights of 50 to 100 feet. Crown is open and rounded with slender, drooping branches, reaching a diameter of 35 to 50 feet. Leaves: Dark green leaves are arranged alternately along branches, on short stalks, which are sometimes tinged dark red. 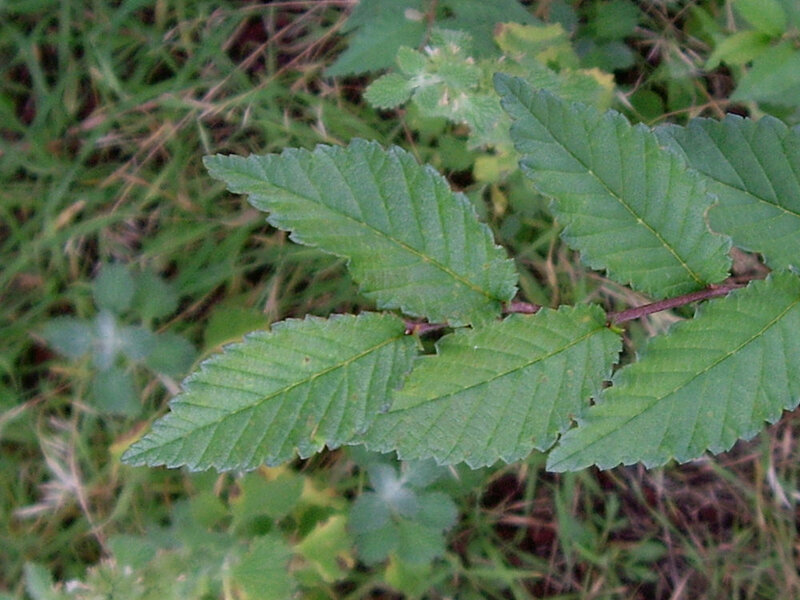 Leaves are 1 to 2 ½ inches long and half as wide, elliptical, with toothed margins and pointed tips. Leaves have conspicuous, grooved veins in a fishbone pattern, and are slightly hairy on the underside when young. Yellow in the fall. Trunk: Trunk may be 1 to 3 feet in diameter or even larger. Mature bark is grayish or brown, rough, and furrowed. New branches are thin, gray, sometimes hairy and drooping. Flowers: Small, greenish flowers emerge in March to April. They have no petals, but form drooping clusters which appear before the tree leafs out. Leaves are followed by half-inch-long, flat, brownish winged seedpods that mature during early summer. Seeds: Fruit contains a single seed. Straw-colored when mature, with translucent, papery wing. Where it grows: Handles dry soils not easily tolerated by other species. Prefers full sun. Grows at elevations from sea level to 7,200 feet. Found along roadsides, streams, home landscapes, and disturbed habitats. Weedy characteristics: Seeds are abundant and germinate easily under many conditions. They are widely dispersed by wind and water. Seeds germinate early in the season, giving the seedling an advantage over later-establishing plants. Can grow more than 5 feet per year, and form thick stands. Tolerates poor soil, drought, extreme cold, air pollution, and some salinity. Seedlings will tolerate some shade. Plants that are cut down will repeatedly re-sprout. Control strategies: Hand pull or hoe seedlings as soon as they appear. Monitor area frequently. Small trees can be removed with a sharp grub hoe. If it is safe, larger trees can be girdled between late spring and midsummer, being sure to remove the outer layer of bark. After girdling, tree will die in 1 to 2 years. The trunk will need to be treated with an herbicide to prevent resprouting. 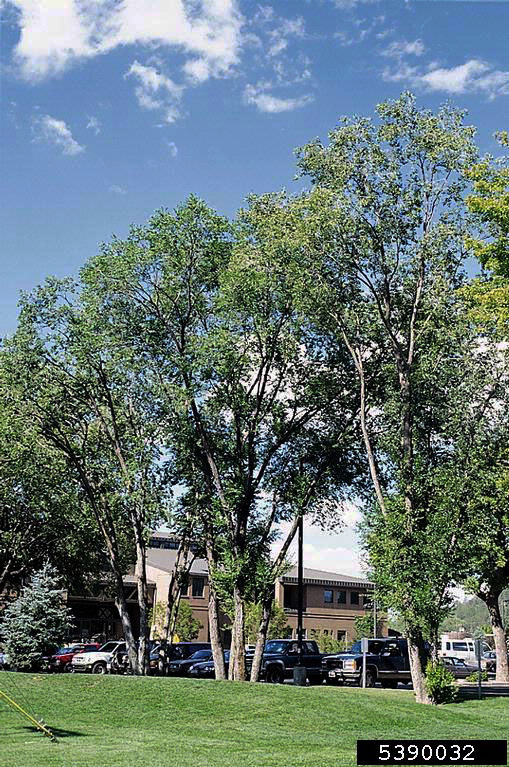 Trees may have to be removed by a professional. Contact your local county extension office for more information on chemical control.